Latter-day Saints take communion once a week in remembrance of the sacrifice of Christ as admonished in Luke 22:19 and Doctrine and Covenants 20:75. This is not, however, the only reason they take it. Mormons also take communion in order to renew their baptismal covenant. This covenant, made at baptism, is a two-way promise that they will take upon them the name of Christ, bear each other’s burdens, mourn with those that mourn and keep the commandments. In return, God promises eternal life (Mosiah 18:8-9). There are two schools of thought as to why Latter-day Saints need to renew their covenant. The first theory says the covenant is broken by sin. When I was LDS, I thought my sins canceled my protection and taking communion would renew the agreement, much like renewing my car insurance. Taking communion was absolutely essential, hence it’s common name among the LDS: the sacrament. The second theory says the covenant is not broken by sin. Renewing Covenants is like renewing wedding vows, which means the original agreement wasn’t damaged in any way. 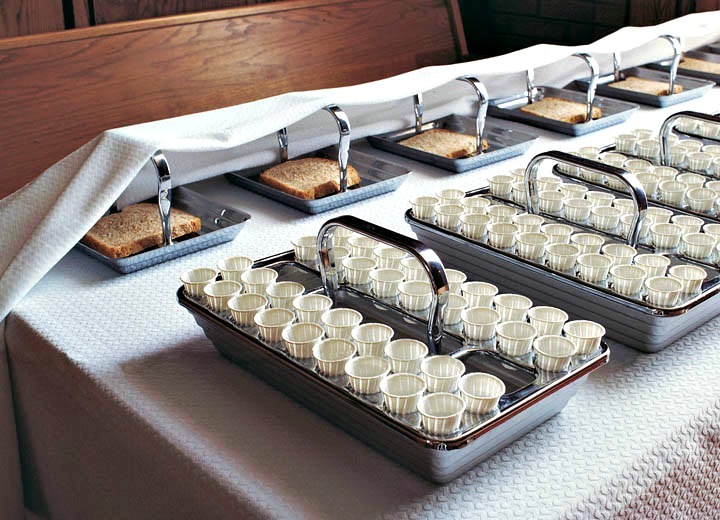 Communion is merely a chance for Latter-day Saints to recommit to the Lord. Both theories are deeply problematic for Latter-day Saints. The most glaring issue with the covenant not being broken by sin is it makes the covenant unbreakable. Thus the promise of eternal life is assured, regardless of whether man keeps his part of the agreement. This falls directly in line with the Protestant view of eternal security, which Mormons oppose vehemently. To enter the highest heaven, the Celestial Kingdom, a Mormon must have faith, repent of their sins, be baptized, receive the gift of the Holy Ghost, and last but not least, endure to the end. 2 Nephi 31:16, in The Book of Mormon says: And now, my beloved brethren, I know by this that unless a man shall endure to the end, in following the example of the Son of the living God, he cannot be saved. Doctrine and Covenants 14:7 says: And, if you keep my commandments and endure to the end you shall have eternal life, which is the greatest of all the gifts of God. According to LDS scripture, we must endure to the end with our own might. There is no solace in the idea of an unbreakable covenant enduring on our behalf. The responsibility is placed on the shoulders of Latter-day Saints. No one lives without sin after his or her baptism, however. Without some provision for further cleansing, each of us is lost. How grateful we are that the Lord has provided a process for each baptized member of His Church to be cleansed from the soil of sin. The sacrament is an essential part of that process. We are commanded to repent of our sins, to come to the Lord with a broken heart and a contrite spirit, and to partake of the sacrament. When we renew our baptismal covenants this way, the Lord renews the cleansing effect of our baptism. We are made clean and can always have His Spirit to be with us. There is a paradox in “car insurance” communion. It is a way to repair our unworthiness, but at the same time, it is never to be taken unworthily. Many Latter-day Saints justify taking communion despite having sin in their lives. They feel that as long as they are not committing major sins, and are on the path to righteous living, they are worthy enough to take communion. Alma 45:16 in The Book of Mormon, tells a different story. It specifies that “the Lord cannot look upon sin with the least degree of allowance.” In other words, God is not satisfied with improvement from the week before. If we show him our spiritual report card and it’s an A-, we are still unworthy in his sight. 2 Nephi 28:8 says: And there shall also be many which shall say: Eat, drink, and be merry; nevertheless, fear God – he will justify in committing a little sin… The following verse calls this “false and vain and foolish” doctrine. I was in an institute class one semester, watching a video about a drunk driver who killed a man’s family when the truth hit me: I had been judging the man for his depravity, and my own sins were just as vile. My sins were bad enough that Jesus had to die on my behalf! I realized that my righteousness was an illusion, and I had no right to judge anyone. The problem this poses, is if the covenant has been broken, and the partaker has any sin in his life, he has no right to take communion. In fact, the covenant can never be renewed again, because as 1 John 1:8 (ESV) says: If we say we have no sin, we deceive ourselves, and the truth is not in us. And every high priest stands daily at his service, offering repeatedly the same sacrifices, which can never take away sins. But when Christ had offered for all time a single sacrifice for sins, he sat down at the right hand of God, waiting for that time until his enemies should be made a footstool for his feet. For by a single offering he has perfected for all time those who are being sanctified. I wept the first time I took communion in a Christian church. It was my first time taking it without feeling guilty. The symbolism overwhelmed me. It was not an offering that I was making to God, it was the offering God had given me. The Lord’s amazing grace was upon me, forgiving me of my trespasses. Jesus was not waiting for me to come to his level, he was meeting me at mine, and granting me full acceptance. I was the prodigal son, who had returned from feeding pigs in the mire. I was a long way off, but God ran to me. I was filthy, but he embraced me. I was estranged, and he put a ring on my finger. I was naked, and he put his robe on me. I was dead, and he brought me to life. Interesting article. I personally don’t find evidence in the Bible for all sin being “forgiven” on the cross. There’s a difference between “payment and indebtedness” and “forgiveness and unconditional salvation”. If the Bible were to teach that all sins (past, present and future) were forgiven on the cross, that would mean ongoing repentance isn’t necessary. Each time we sin, even after we’ve been initially saved/justified through faith, we begin to feel a spiritual heaviness or weight come upon us. Our souls hunger, and we cry out to God for forgiveness. This process of repeated repentance brings sanctification, and allows for us to better follow our Savior. I’m grateful for the Sacrament. A consistent reminder of our indebtedness and nothingness before a just and holy God. At baptism we promised to take His name upon ourselves, by following him, and each time we sin, we distance ourselves from Him. Spiritual death really happens, I know from personal experience, and although my covenants aren’t “broken” through sin each week, I definitely feel the need to recommit through sincere repentance. What I’m seeing in your response Mr. Winegar is a conflation of justification and sanctification. The Bible is clear that justification is by faith alone. And he [Abraham] believed in the Lord, and He accounted it to him for righteousness. And the Scripture was fulfilled which says, “Abraham believed God, and it was accounted to him for righteousness.” And he was called the friend of God. Could you explain to us HOW a gift can be conditional or require repayment? By definition, if either condition applies how is it still a gift? Imagine that it’s your best friend’s birthday, and this year is a milestone in that he’s turning fifty . You’ve saved up some cash and gone the extra mile in buying him a nice watch and premium tickets to an upcoming ballgame— it’s the playoffs! He opens your generous gift and is just floored. “Wow! I cannot believe you got me tickets to this game! And the watch … it is just beautiful. Man, this must have set you back a pretty penny,” he says. “Well, hey,” you respond, “what are best friends for? Happy birthday, man.” “No, seriously, what are we talking about here? A grand? $ 1,500?” Now he’s digging into his pocket for his wallet. “Let me pay you something,” he insists. Now it’s getting a little uncomfortable. “Dude, what are you doing? It’s your birthday. This is my gift to you. You know, b-i-r-t-h-d-a-y g-i-f-t. Put your wallet away!” you counter. “Oh no, no, no. Let me give you half at least.” He is really digging his heels in at this point. He pulls $ 700 out of his wallet and shoves it into your coat pocket. “Here’s half,” he proudly announces. Clearly this is an either/ or proposition. Salvation is either achieved on the basis of works (and obedience), as it most certainly was under the Mosaic Law, or it is received on the basis of God’s grace. But it cannot be both. These are mutually exclusive concepts . Otherwise , grace is “no longer grace.” What God is saying essentially is this: My gift is through His blood. Period. Now, can you please accept this gift by faith so that we can get on with the business of enjoying rich fellowship with each other in My kingdom? The beauty of baptism is that it is a ONE time event and a one sided covenant, a gift of God to man. The Lord’s Supper is an ongoing sacrament for those who have already been made part of God’s family in their baptism.The Lord’s supper is only for sinners. Anyone who thinks they are doing a pretty good job at keeping the commandments is “unworthy” to take this sacrament. (Rom 3:19; James 2:10; Isa 64:6 etc)This sacrament is for sinners who have confessed their sins to God and who receive assurance and certainty that their sins have been forgiven in the sacrament because this sacrament is the body and blood of the Lord (1 Cor 11:27). And no one is disagreeing with you. Yes, the process of repeated repentance DOES bring sanctification and allows us to follow our Savior. Dietrich Bonhoeffer (a Lutheran minister) agrees with you; Vance Havner (a Baptist preacher) agrees with you, and; I (a Charismatic Calvinist) agree with you. We ALL agree with you. I am NOT ultimately saved by ANY work – be it baptism, communion, repentance, or anything else. The process is Justification first and Sanctification second, not vice versa. I feel my love run dry. And tossed around in the storm. And I’m tired of planting seeds. Of so many thoughts about myself. I want to, I need to, be more like Jesus. I want to, I need to, be more like him. To point us to the cross. Compared to what I’m called to be. Regardless, I know that when I die, I will receive the best that my religion has to offer: Eternal life in the presence of God. NOT because of anything that I have done (for I surely do NOT deserve it based on my merit!) but because of EVERYTHING that Christ has done for me – by faith alone, through grace alone. I apologize for coming late to this discussion, but I’m only catching up on this in my life. I’m LDS and came to Christ a few years ago when I sought God’s forgiveness. I mean a deep and troubled repentance that ended with an experience that filled me with God’s love I can’t express in just a few words. He forgave me then and every time I’ve repented since God has let me know He already forgave me adding, “don’t you remember?” and for awhile I was confused because of my LDS mindset. But recently I have rejected the “renewal of baptismal covenants thing” and have searched the New Testament and love what Yeshua said when He gave the bread and wine to his disciples. The other day I found John 6:35 “And Jesus said unto them, I am the bread of life: he that cometh to me shall never hunger; and he that believeth on me shall never thirst.” This verse has captivated me. I can’t help but think about the relationship between bread (flesh) and coming to Christ; and the relationship of the wine (blood) and belief. 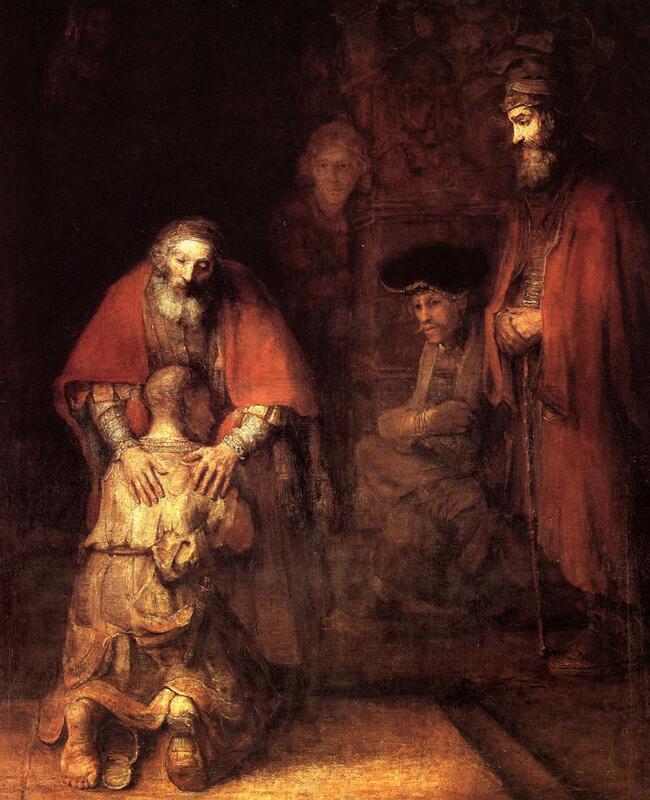 He desires a broken heart and contrite spirit obviously in our “coming to Him” and of our belief, surely it must be complete and with our whole heart. I apologize for how I relate to things right now. God is still re-writing my paradigms. @Rodney, to clarify, this article was written by Michael Flournoy, not myself. So the words in the article that you attributed to me, should be credited to Mr. Flournoy. I hope that this helps.